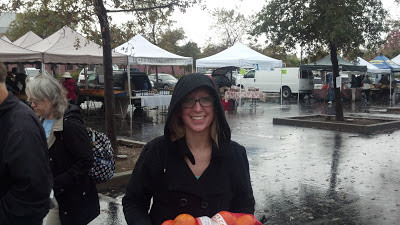 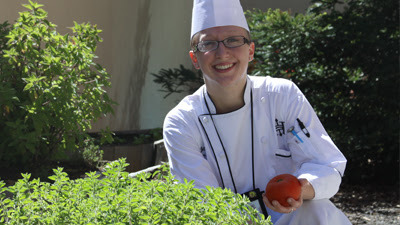 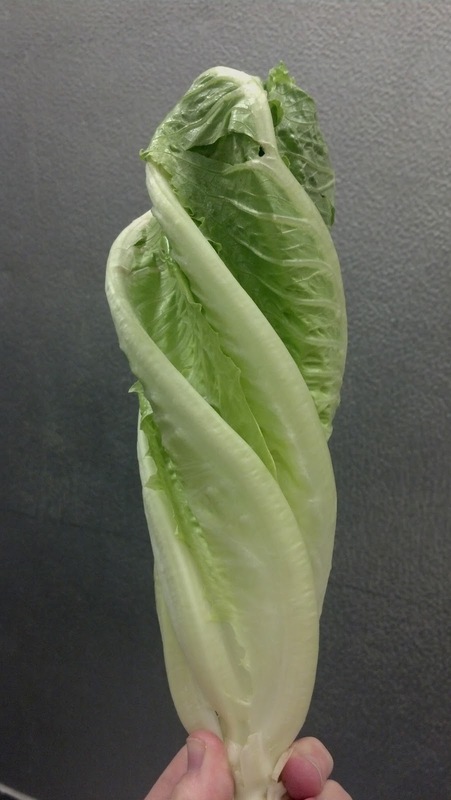 I am Chef Nikki - As part of our dedication to the Farm to Fork Movement and supporting our local farms, I go to the Farmer's Market once a week for fresh local vegetables from the area's best farms! 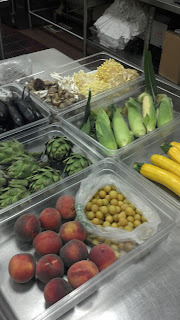 Here we have some Corn on the Cob, Artichoke Hearts, Peaches, Summer Squash, Eggplant, Peaches and specialty Mushrooms from Dragon Mushrooms. 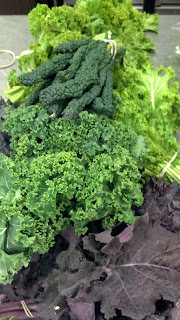 Winter Kale Salad mix for the Farmer's Market Salad and Twisted Romaine!